Following the sell-out success of last year's trip and at the request of Friends we have decided to offer a return trip. Join us for a private tour of the West Cemetery, which has some of the finest funerary architecture in the country. It is a place of peace and contemplation where a romantic profusion of trees, memorials and wildlife flourishes. Visitors to the West Cemetery can find the graves of Christina Rossetti and Pre-Raphaelite muse Lizzie Siddal, as well as many others relevant to Victorian art enthusiasts. 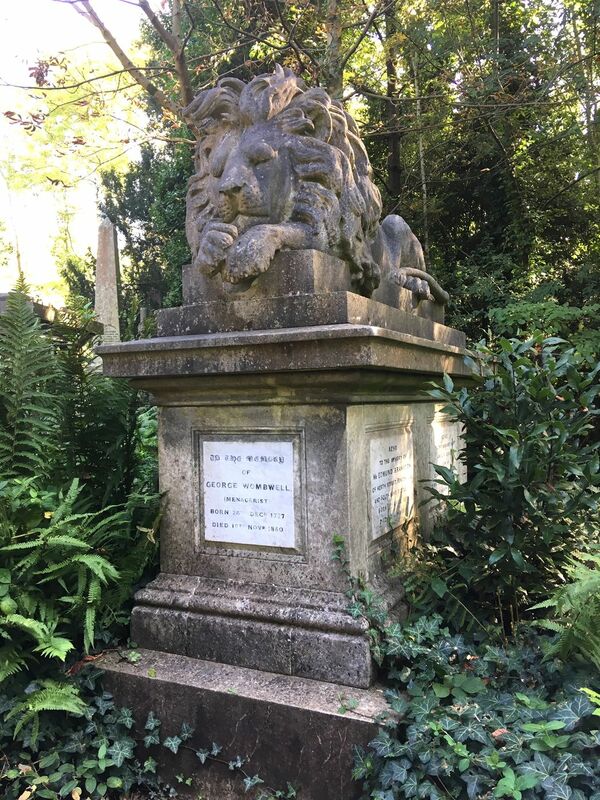 After lunch, you will have free time to look around the East Cemetery where you can find memorials to many illustrious figures of the nineteenth century as well as eminent people of our own time. Memorials include Karl Marx and George Eliot. A table for lunch at a local café or pub will be reserved, payable on the day. Please note that that the paths are steep at the cemetery, and the tour route also includes two flights of stairs. The terrain is hilly and sensible footwear is recommended. For any questions please contact Rachael Gurney, Friends Administrator, on 01483 901809 or email friends@wattsgallery.org.uk. Places are limited and early booking is recommended.